VALUATION WARNING: Overvalued stocks now make up 68.42% of our stocks assigned a valuation and 31.55% of those equities are calculated to be overvalued by 20% or more. Sixteen sectors are calculated to be overvalued. ValuEngine tracks more than 7000 US equities, ADRs, and foreign stock which trade on US exchanges as well as @1000 Canadian equities. When EPS estimates are available for a given equity, our model calculates a level of mispricing or valuation percentage for that equity based on earnings estimates and what the stock should be worth if the market were totally rational and efficient–an academic exercise to be sure, but one which allows for useful comparisons between equities, sectors, and industries. Using our Valuation Model, we can currently assign a VE valuation calculation to more than 2800 stocks in our US Universe. We combine all of the equities with a valuation calculation to track market valuation figures and use them as a metric for making calls about the overall state of the market. Two factors can lower these figures– a market pullback, or a significant rise in EPS estimates. We also use trading data to provide forecast estimates for a variety of time horizons for almost ever equity in our database. Our Buy/Sell/Hold recommendations are based upon the 1-year forecast return figure. Using valuation and forecast figures, you can rank and rate our covered stocks against each other, to find out, in an objective and systematic way, the most attractive investment targets based on your own risk/reward parameters. We re-calculate the entire database every trading day, so you are assured that every proprietary valuation and forecast datapoint is as up-to-date as possible. 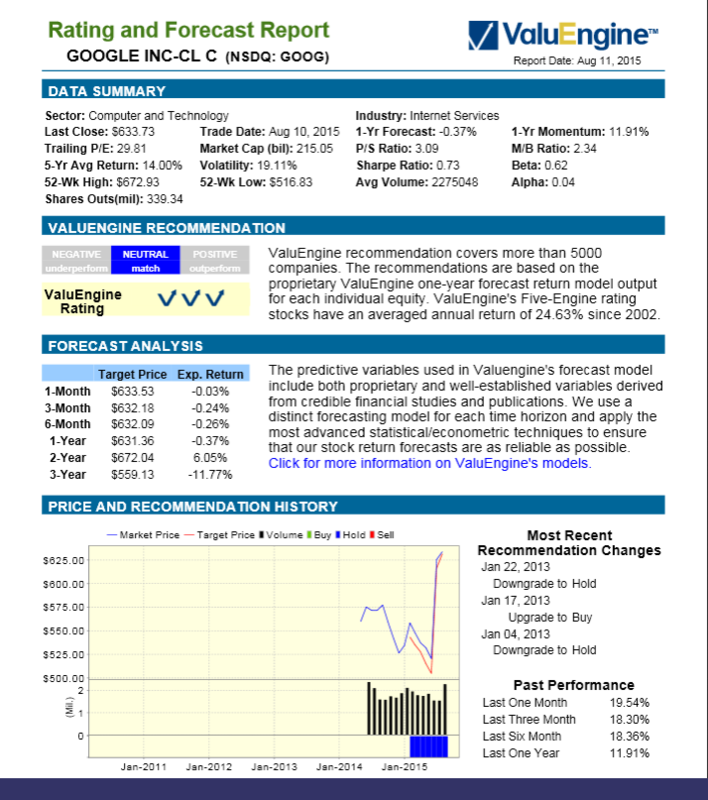 VALUENGINE RECOMMENDATION: ValuEngine updated its recommendation from BUY to STRONG BUY for FIRST DATA CORP on 2017-02-10. Based on the information we have gathered and our resulting research, we feel that FIRST DATA CORP has the probability to OUTPERFORM average market performance for the next year. The company exhibits ATTRACTIVE Price Sales Ratio and Book Market Ratio. You can download a free copy of detailed report on First Data Corp (FDC) from the link below. ValuEngine.com is an independent research provider, producing buy/hold/sell recommendations, target price, and valuations on over 7,000 US and Canadian equities every trading day.